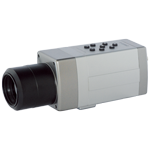 (1) Infrared camera has the ability to penetrate fog, and can ensure the monitoring during day and night. Thermal imager can search for missing persons or fugitives overnight. 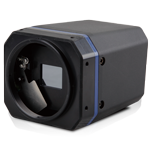 Thermal imager is easy to determine their location because of their thermal radiation. Using thermal imager can find the hiding persons. 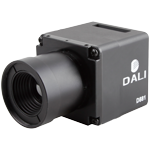 Thermal imager is a passive acceptance of the infrared spectrum of radiation from an object, but it doesn’t emit any light. By it, police officers can find the suspects at night, but suspects can not see it. Searching for suspects or dealing with emergency situations, the first action is generally taken to block the site of the accident and to send a warning in the surrounding, in order to prevent suspects escaping or someone entering the alert zone interfering investigators. 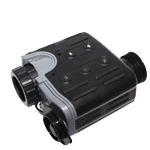 By hand-held or mounted on the car Police-using infrared camera, The police can make the peripheral control more effective. Today, many countries have begun to use night vision technology for day and night surveillance of the offender correctional institutions, factories and airports and other places surrounding areas to prevent accidents. 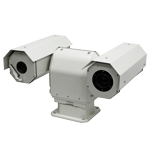 Police-using infrared camera can also help to check the safety of the business district. Because infrared camera can not penetrate glasses, usually window looks the wall as one. If police can see things in the house by infrared camera, it shows windows are open or broken. The advantage of this approach is both effective and to save time. when used, Vehicles emit a lot of heat. Thermal radiation is not only from the engine, but from the tires, brakes and exhaust pipes. Equipped with a thermal imager, police-using helicopters can track suspects’ vehicles from the air, and will do so even not driving lights. Patrol cars equipped with vehicle-mounted thermal imager also can probe the vehicle which just turned off the heat, and thus tracking the suspect vehicle into the parking lot. Today, the anti-drug operations are increasingly complex, many parts of the cannabis cultivation transfer the outdoor to indoor, this adds a great deal of trouble to the law enforcement officers to investigate and collect evidence. Night vision technology can solve this problem, because the indoor cultivation of cannabis use 1 kW halogen light to provide light and heat needed for growth. These lights are heating inside the building, at the same time the heat radiate the building surface, By thermal imager, we can see heat in the volatile, so as to help anti-drug operations. The automobile plant often use thermal imager to check the car’ troubles. The police can use thermal imager to check the vehicle compartment. Drug traffickers often hide drugs on the tires, the fake gas tank and exhaust pipe or other compartments of the vehicle, visual inspection is difficult to find these flaws. By the thermal imager, it will be much easier. For example, there are two exhaust pipes, one is real and the other is false. When used, we can observe the real one looking pale fever, while the false one does not have this phenomenon. 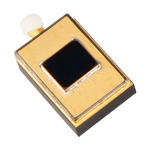 The thermal radiation emitted from oil, chemicals and other contaminants is different with the thermal radiation emitted from soil and water around. Thermal imager is able to track these pollutants and to find its source.